Islam Slimani – On loan from Leicester. Transfer deadline day saw Newcastle United welcome two new arrivals to Tyneside, plus a number of departures from St James’ Park. All of these deals were just temporary, though, and came late on with the January transfer window slamming shut at 23:00 GMT on January 31st. Magpies manager Rafa Benitez finally secured a new striker in Leicester City’s Algeria international Islam Slimani, and got another goalie with Slovakia’s Martin Dubravka joining from Czech club Sparta Prague until the end of the season. 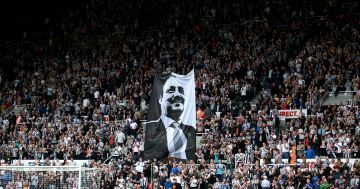 Are Newcastle Fans Right to be Disappointed by the Club’s Transfer Dealings this Summer? Rafa Benitez wasn’t able to hide his frustration at the end of August as Newcastle failed to land a number of their primary targets in the transfer window this summer. The Magpies were one of a number of top-flight clubs who voted for the window to be closed prior to the start of the season from next year with the Spanish boss clearly exasperated by the club’s failure to close a number of potential deals. “Howay man, stay here wor Bafétimbi” says Aulas now. Well there have certainly been some very strong hints so far, but now it has finally been confirmed by Olympique Lyonnais chairman, Jean-Michel Aulas that there are currently no parties currently in discussions to sign Olypique Lyonnais striker, Bafétimbi Gomis, confirming that Joe Kinnear and Newcastle United have finally got sick of all the complications and have fianlly walked away from the proposed deal. “Of course, the departure of Licha (striker / winger Lisandro López, recently sold by Lyon) poses a new problem. 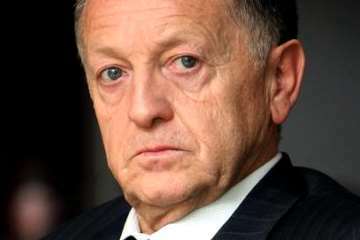 I look forward to trying to get everyone around the table to discuss,” said Aulas to Olympique Lyonais’ official website. 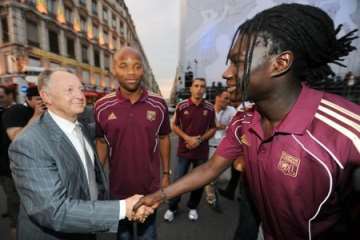 Jean-Michel Aulas: Dark forces at work in Gomis deal? Newcastle United’s pursuit of Bafetimbi Gomis is rapidly becoming what Churchill would have called “a riddle wrapped in a mystery inside an enigma,” and for once, it doesn’t even seem to be Newcastle United’s fault! Joe Kinnear welcoming new signing Loic Remy to the club. Speaking in another ‘exclusive’ interview with Mike Ashley’s Sports Direct News, Alan Pardew was repeating his protestations that Joe Kinnear was only brought into the club to work on the financial side of transfers like Derek Llambias before him. “It’s quite simple really, it’s not too different to what we had before with Derek Llambias. Mike and Joe work the finances of the football club. Therefore I have to make sure, with Joe, that we’re approaching players in the right financial bracket for us and that we’re doing the right amount of scouting. “Joe’s job is to co-ordinate that and put it all together. So he has my input, he has Graham Carr’s views and also Mike’s opinion as well in terms of the finance.